There has been a great deal of discussion in recent years about the importance of your business having a website. Even if you feel like your jewelry store is doing fine, couldn't you be doing more? Isn't it possible you are not reaching your entire projected audience? 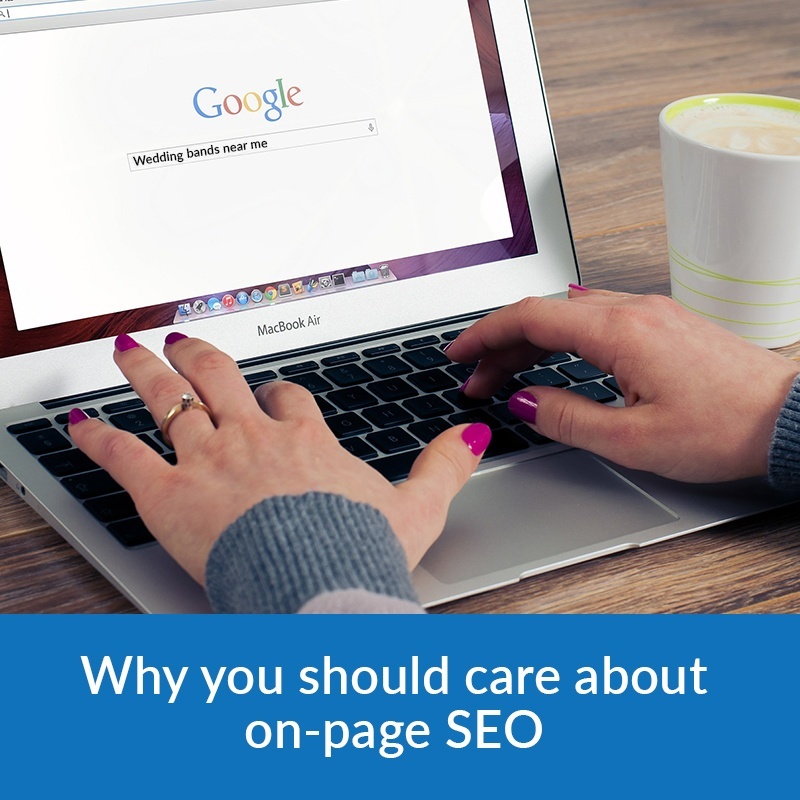 This is just one of the reasons your website's on-page SEO presence should be on the top of your mind and how it can help your business succeed. Your website's on-page SEO might sound like a foreign language that doesn't apply to you, but it does. SEO stands for "search engine optimization", and on-page SEO refers to "the practice of optimizing individual web pages in order to rank higher and earn more relevant traffic in search engines" (Moz.com). By using effective keywords and applying them to your targeted webpages, SEO can quickly become your website's bestfriend. SEO is the culmination of which keywords in a search query which direct a digital audience to your site. If you're a high end jewelry store in St. Louis, those are some of the very words your websites pages should be highlighting. If you're an unfamiliar customer looking for one such jewelry store in the gateway city, you are going to click on one of the top search engine results and most likely start your search from there. Exactly what we were just describing is the main reason why you should care. You have to appreciate that people who don't frequently shop for jewelry are going to use a trusted search engine, like Google, to find the best places to go. If your website's on-page SEO isn't optimized around the right keywords, then chances are your potential customers are going to another location and may never discover that your store exists. You're invited to have a free consultation call with one of our leading specialists, who can help you get your websites SEO ranking to where it needs to be!